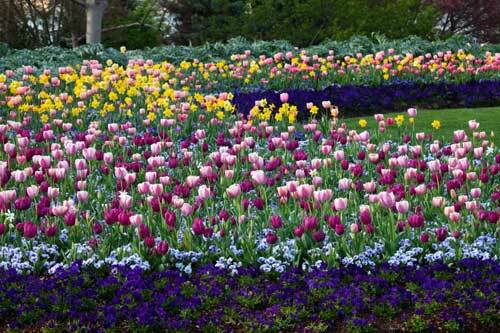 Now in its 34th year at the Dallas Arboretum and Botanical Garden, the Dallas Blooms floral festival features tulips, daffodils, Dutch Iris and hyacinths, pansies, violas, poppies and thousands of other spring-blooming annuals and perennials. 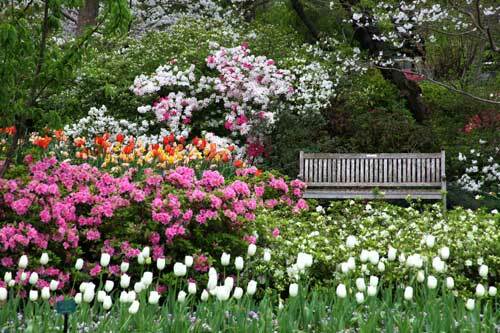 The finale of this spring celebration is the mass flowering of the garden’s collection of 3,000 azaleas that bloom through April. Here are five things to know about one of the most fun things to do in Dallas. 1.This year’s them is “Peace, Love and Flower Power.” Each weekend highlighted a different 1960s theme and incorporated headlines, music, TV, fads and fashion from the swinging ‘60s. The closing weekend activities include pop art paper flowers, print making and hula hoops contests. 2.As expected for Texas, Dallas Blooms is big! 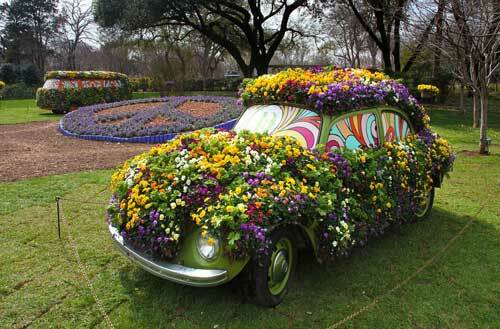 It’s the largest floral festival in the Southwest both in terms of length of time and number of plants. There are 500,000 blooming bulbs. 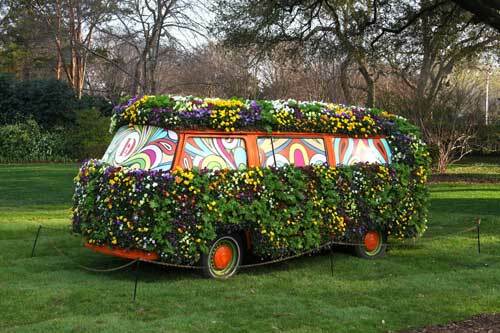 3.Some unique topiaries were created this year using a VW Van and a VW Bug. The vehicles were picked up at Don’s Bug Barn, a vintage VW salvage yard in Athens, Texas. Next they were taken to A1 Metal Works and fitted with a wire frame. Once at the arboretum, they were stuffed with moss, then the horticulture staff planted flowers and knitted the roots together to create the display. 4.It takes an army. A team of workers and volunteers start preparing the 66-acre garden on the Monday after Thanksgiving and wrap up a few days before Christmas. In 2016, there were 2,190 volunteers and they put in 82,048 hours. 5.The tulips are impressive! The festival offers the most tulips on display of any public garden west of Holland. There are 50 different varieties. This year’s peak for tulips was a little early, but there are beautiful early summer blooms coming in, like roses, foxgloves and more. 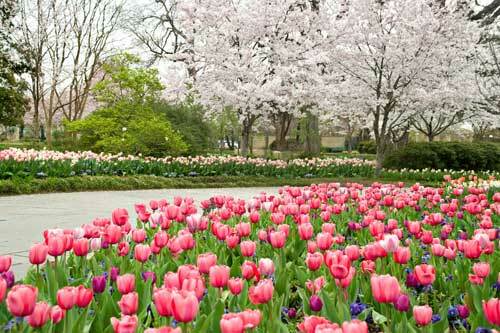 Admission to the Dallas Arboretum and Botanical Gardens and the Dallas Blooms festival is included with Dallas CityPASS.